Kim, a gifted artist, keyboardist, producer, composer, arranger, vocal coach, and promoter received her BA in music from Howard University. Upon graduation, Kim was immediately hired by and subsequently became musical director for the iconic jazz poet “Gil Scott Heron” until his death in 2011. She received International acclaim for her live performances from such publications as The London Guardian, The San Francisco Examiner, The Chicago Tribune, The Washington Post, Vibe and Billboard Magazines. Kim has over 35 years of experience in the music industry and was the first signed artist with the Washington D.C.-based Record Company, ProSounity Music Entertainment Label releasing several singles and three CD projects, All For You, Full Circle, and Uncommon. Kim’s career to date includes her keyboard work on Broadway with Taj Mahal in the Zora Neale Hurston’s production, “MULE BONE with a subsequent performance with him at the White House for President Bill Clinton saluting the anniversary of National Public Radio. 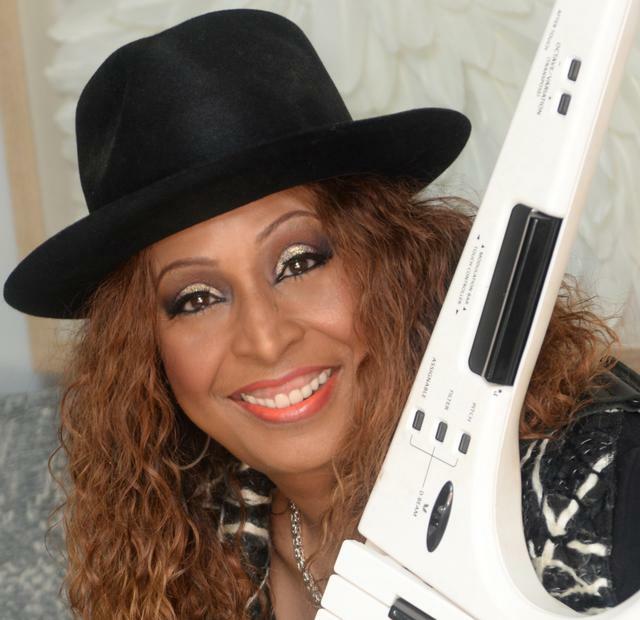 She has performed with such notable artist as Roberta Flack, Stevie Wonder, Brenda Russell, Teri Lynn Carrington, Regina Carter, Common, Noel Pointer, Dave Valentine, Lonnie Liston Smith, Vanessa Williams, Meshell Ndegeocello, Suzanne Douglas and many others. Some of her Jazz performances have included the Jackie Robinson Jazz Festival; NYC Seaport Jazz Concert Series; The Congressional Black Caucus’ Salute to Women in Jazz; The Women in Jazz Series’ Kennedy Center, Washington, DC; The Black Academy of Arts and Letters, Inc. Theatre in Dallas, TX; The Detroit Opera House; The Detroit African American Museum; Syracuse Jazz Festival; and the New Orleans Jazz Festival to name a few. Several-acclaimed Musical Artist such as Dianne Reeves, Kevin Eubanks, Gerry Gonzales Billy Childs, Regina Carter, Carla Cook, and Janet William shave performed her musical compositions and arrangements. Kim continues to Record, Produce, and Perform with her band “Uncommon.” She also remains a much sought after Artist, Composer, Producer, Arranger, Director, Vocal Coach, Preacher, Teacher, Clinician and Facilitator for Churches, Record Labels, Artists, Choirs, Conferences, Seminars and Workshops.